Election 2018 is in full swing -- and now is the time to start figuring out how you're going to vote! Our Fall 2018 "Policy and a Pints" are focusing on California's General Election ballot. We're holding discussions with panelists who, whether they are "for, " against" or "neutral," will give us the straight talk on local/statewide propositions and races, and what it means if you vote yay or nay on each. 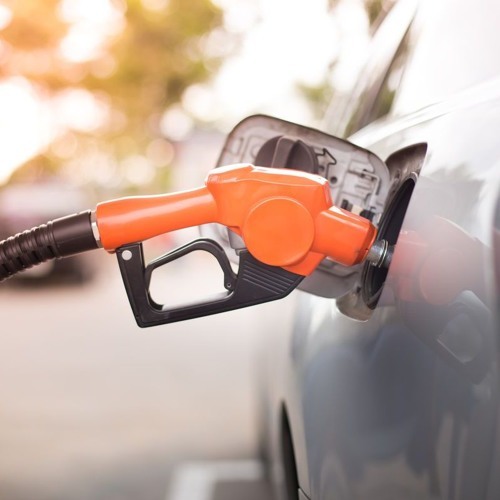 * * * * * In this podcast, we're talking about Proposition 6, about repealing 2017’s gas tax and vehicle fee increases, and requiring a public vote on future increases in transportation-specific spending. PANELISTS * Kiana Valentine, senior legislative representative for the California State Association of Counties * David Wolfe, legislative director for the Howard Jarvis Taxpayer Association PODCAST PLAY-BY-PLAY * O to 5:30 min - Intro to California Groundbreakers, and what this discussion is about * 5:30 min - Panelists introduce themselves -- and talk about their favorite road trip through California * 7:40 min - The background of Proposition 6: Valentine explains Senate Bill 1 and the passing of the "gas tax" * 17:50 min - Wolfe explains why Proposition 6 is on the ballot to repeal the gas tax * 20:50 min - It has been nearly a year since the gas tax started - what has happened in that time? * 29:55 min - Will Prop 6 force gas companies to lower the price of gasoline at the pump? * 32:55 min - What if a recession hits: How will that affect our gas use and transportation funding? * 38:05 min - The federal government's role in fixing infrastructure in California * 42:30 min - If Prop 6 passes, what would be the ideal outcome? * 53:20 min - The flip side: What will happen if Prop 6 doesn't pass? * 55:40 min - How does Prop 6 address climate change and public transit issues? * 58:20 min - The premise of using cap-and-trade funds to fill in the gaps for transportation funding * 1 hr, 1:30 min - The "Plan B" proposed by Prop 6 proponents * 1 hr, 4:55 min - With a new governor and legislative session coming in January, what should they be doing with transportation fixes and funding?